Eeyore Обои. Eeyore wallpaper.. HD Wallpaper and background images in the Дисней club tagged: eeyore winnie the pooh disney character wallpaper. This Дисней wallpaper might contain аниме, комиксы, манга, анимационные фильмы, комикс, мультфильм, and книга комиксов. 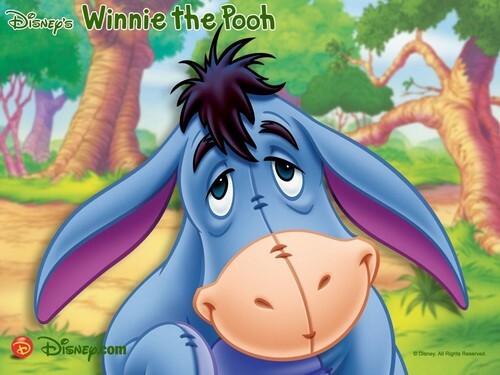 I think that the eeyore wallpaper is just the cutest thing in th ewhole entire world! !